When it is too cold to regularly air out your home, you might want to use a highly effective alternative for purifying the air you breathe - house plants! House plants are Nature’s way of cleansing. Each plant has unique enzymes that absorb toxins that may build up from furniture sealants and off gassing from carpets and flooring. 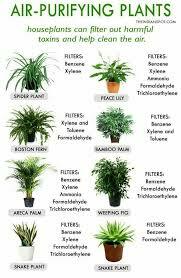 Check out the work each of the following plants can do to make the air you breathe cleaner and healthier. Subscribe to Wellness and You Newsletter and receive your free 7 Day Jumpstart program.. Newer PostDo Men Lose Weight Faster than Women?